Would a Disaster Management system help Knysna? 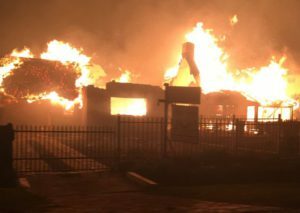 For the past week, the Garden Route has been in a frenzy over the raging / smouldering fires. We’ve been close to the action this past week and assisted with getting things back in shape. As the Eden District is recovering from the devastation caused by fires and strong winds, we are taking stock and asking: what lessons have we learnt? Could this improve co-ordination of Fire / Medical staff? Could this help outlying areas that co-ordinate their own efforts? Could this help inform the public better about relief efforts? If you have similar ideas or are able to contribute, please leave a comment!